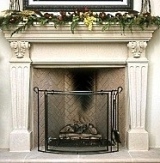 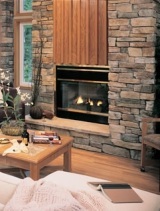 Manufactured stone faux fireplaces are extremely popular today. 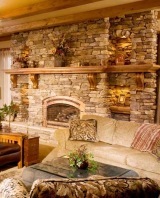 Often referred to as cultured stone -- one of the major brands -- manufactured stone has come a long way from its humble beginnings in the 1960s . 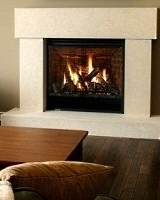 . . . .
thing in between . 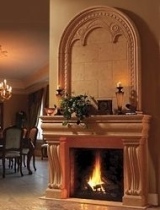 . . concrete is an excellent material for a very realistic looking stone hearth. 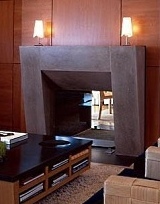 forced concrete, or GFRC. 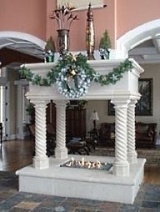 Known for its light weight, high strength and durability, it can be moulded and finished to look like hand carved marble and limestone, as shown in the examples below. 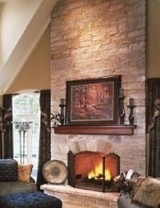 If you prefer more of a rustic or casual look, concrete can also be stamped and finished to look like split face granite . 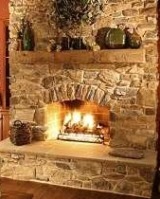 . . . . . . or cut fieldstone. 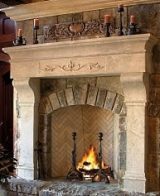 custom hearth, you will find a wide range of quality products and skilled artisans to give you the look of natural stone at a fraction of the cost. 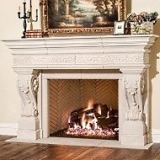 Not only will you save on the cost of the fireplace, itself, but due to the lighter weight of faux stone products, labor costs will be considerably lower because you won't need any additional footings or structural reinforcement to support your new hearth. 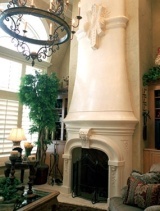 If you're looking for the best there is in a present day custom stone faux fireplace, you need look no further than the quality products and highly skilled faux stone artisans behind the outstanding examples shown here. 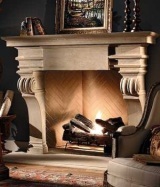 For more information about any of these amazing products and skilled artisans, please contact us. 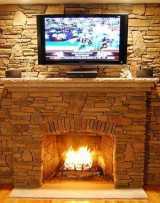 Please check back often or subscribe to our RSS feed, as we fre- quently add new images of faux stone fireplace designs to our site. 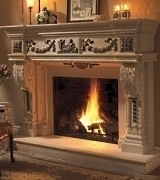 Also, if you know of a skilled designer or artisan whose work you believe should be featured here, please let us know.